This will be deep episode. So many people want to be successful. I've literally coached thousands of them. Here's what I see ... different people ... same mistakes ... same result. 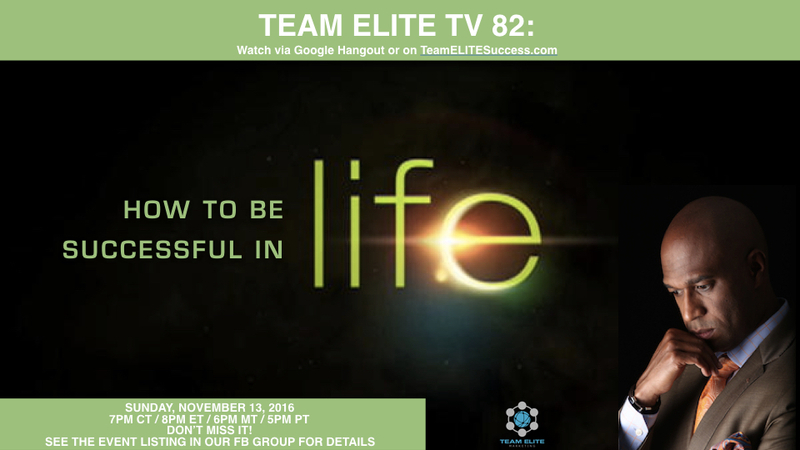 If you really want to succeed in life, business, work, and even Jeunesse, don't miss this episode. Come with an open mind, open heart, and an open notebook. Let's start getting you ready for 2017 Success tonight!